'Open the Boat': Museum society raising funds for new attraction in Thunder Bay, Ont. Residents in Thunder Bay, Ont. 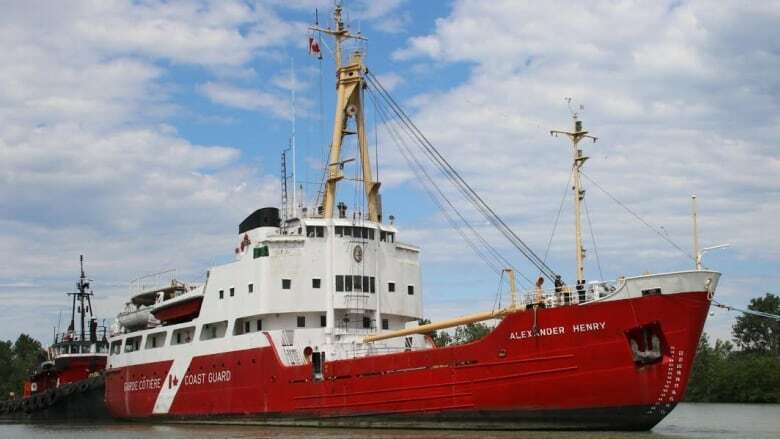 will soon get to enjoy a new attraction on the city's waterfront, but before the big opening of the Alexander Henry Museum Ship, officials at the Lakehead Transportation Museum Society are asking for the public's help in fundraising for their Open the Boat campaign. According to a media statement on Thursday, a donor has come forward who will support the museum society by matching every donation dollar for dollar. "Connecting the City of Thunder Bay back to our lake and to our history is an important step in revitalizing our waterfront through this animated and cherished historical artifact," LTMS president Charles Brown said. He said individuals who donate $19.58 — the year that the vessel came into service —will receive an exclusive sneak peek prior to the official opening. Anyone who wishes to donate can do so by visiting the Lakehead Transportation Museum website.